Making a Kransekake was long overdue for me. You would think that since I have such strong ties to Norway I would have made this "cookie cake" a lot sooner, but chalk it up to laziness I guess. 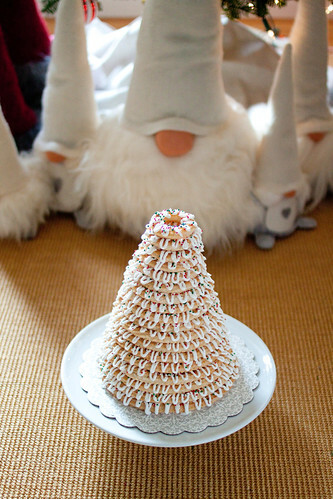 My introduction to this glorious confection was at my dear friends' wedding in Bergen almost fifteen years ago. 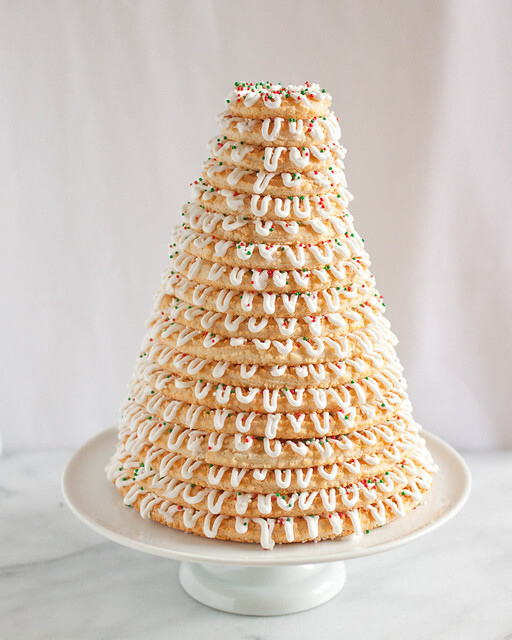 Kransekake is traditionally served at celebrations like weddings, christenings, Constitution Day (17th of May) and Christmas. 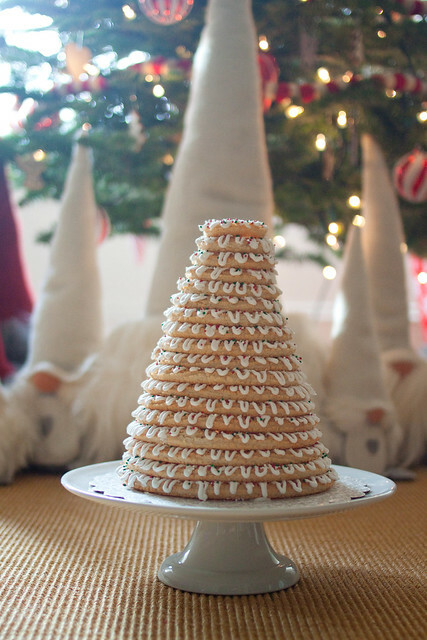 After purchasing these kransekake cake forms I really had no more excuses and was determined to make it this holiday season. Luckily I had no trouble finding a great recipe. One of my favorite Scandinavian baking blogs, Passion for Baking, had one that was very straightforward with minimal ingredients: almond flour, confectioner's sugar, egg whites and vanilla. I used my stand mixer to bring the dough together and a cookie press to pipe long tubes of the dough. You can forgo these and do both by hand if you want. The kransekake's impressive appearance belies its simplicity I was shocked at how easy it was to make and assemble. When finished it's a true show stopper. I'm planning to make a few more of these to give as holiday gifts. God Jul to All! In the bowl of a stand mixer combine the almond flour and confectioner's sugar with paddle attachment until thoroughly mixed. Add in egg whites and vanilla extract/paste Mix on low-medium speed until dough comes together. Refrigerate dough at least 24 hours. Fill a cookie press with the star disc and pipe out long strips of the dough. [You can also do this by hand and roll out the dough in to finger-thick logs.] Place the logs in to the molds and press dough gently at the seams to create an even ring. Place molds on a baking sheet and bake until light golden brown, about 10-12 minutes. Do not overbake or you will lose the chewy texture! Let cookies cool in the mold. Whisk all the icing ingredients in a medium bowl. Organize the baked cookie rings by size. 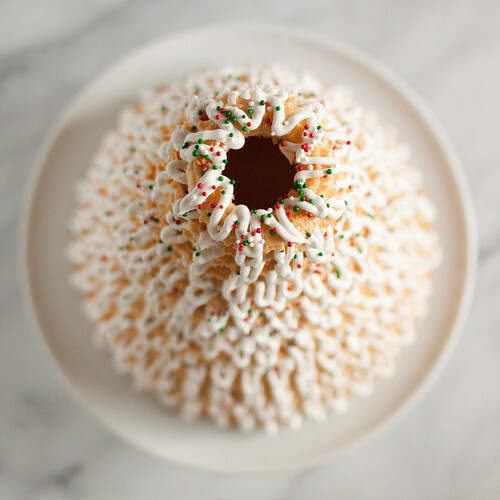 Place icing in a decorating bag fitted with a small round tip. Starting with the largest ring, pipe a swirly pattern on top. Continue with the other rings, stacking largest to smallest. I recently went here for a party and right from the moment I walked in I was in awe and I can only hope my daddy dearest offers to pay for my wedding here someday! At Chicago wedding venues they took care of every little detail one can think of.